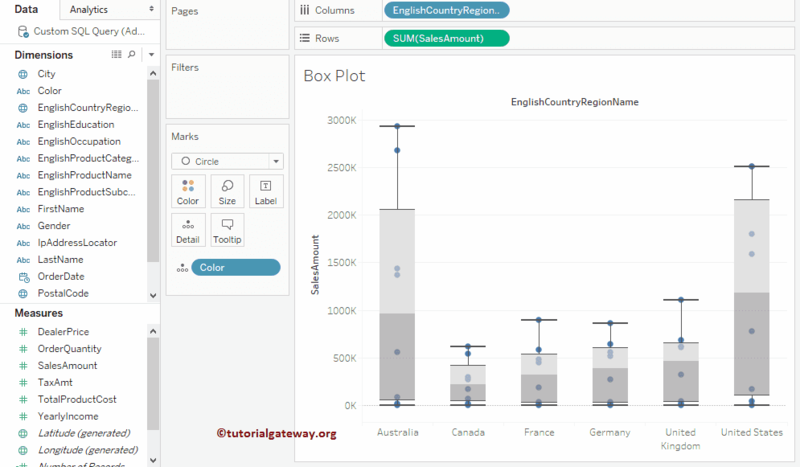 Tableau Box Plot is useful to graphically visualizing the numeric data, group by specific data. 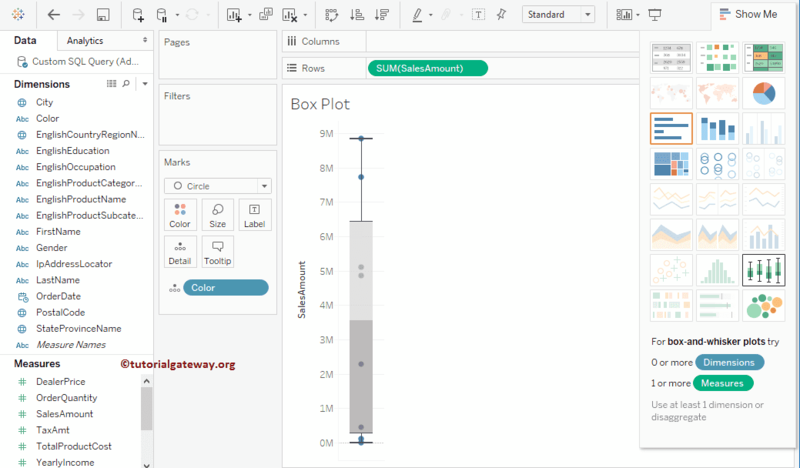 In this article, we will show you, How to Create a Box Plot in Tableau with an example. For this, we are going to write the Custom SQL Query against the SQL Server Data Source. 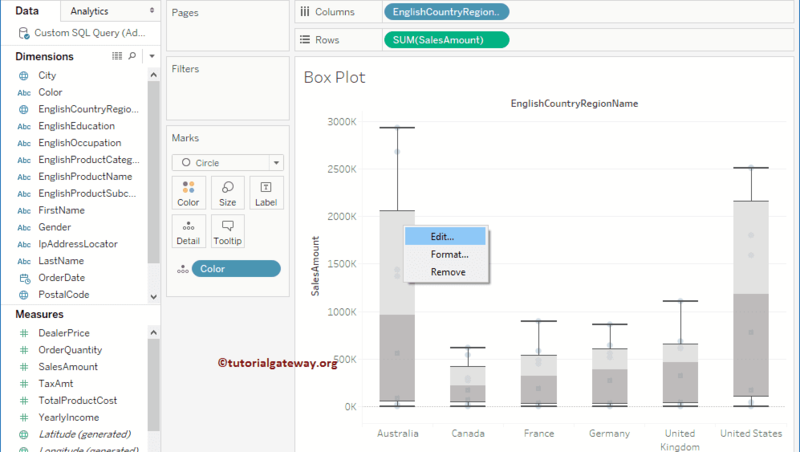 In this example, we are going to create a boxplot in Tableau. For this, first drag and drop the Sales Amount from Measures Region to Rows Shelf, and Color from Dimensions region to Details field present in Marks Shelf. From the below screenshot you can see the Boxplot. 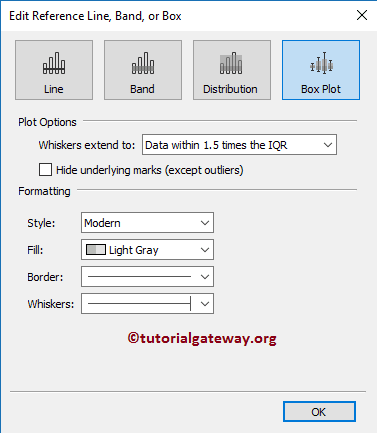 You can hover over the mouse on box plot to see the Median, Upper Quartile, Lower Quartile, and the Whisker values. 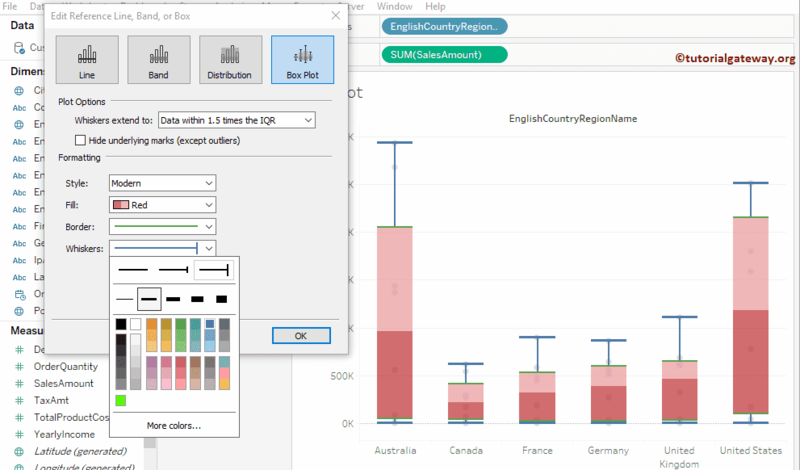 In this example we will show you, How to change the Tableau Box plot box colors. 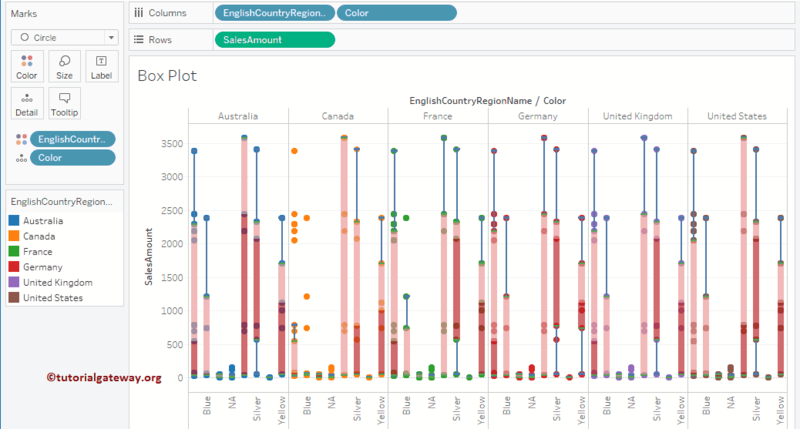 Tableau provides two different approaches for this. 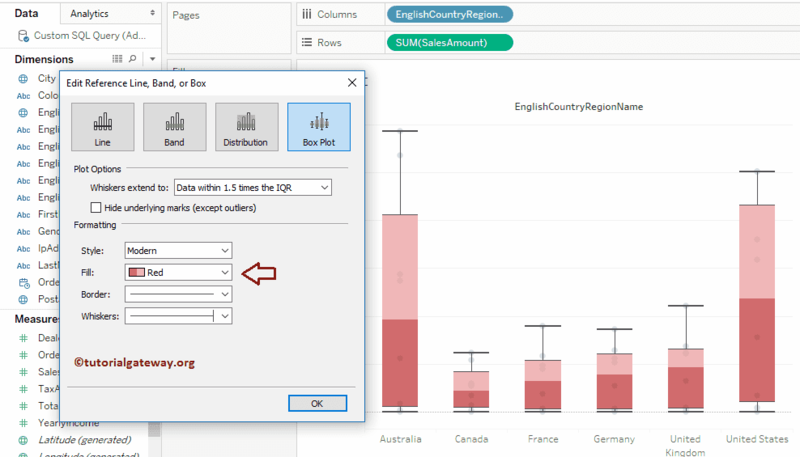 First Approach: Please right click on the box plot and select the Edit.. option from the context menu. 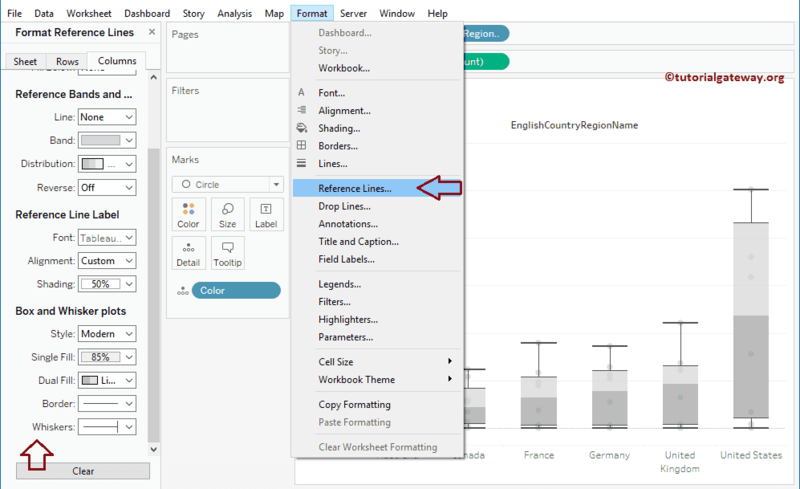 Once you select the Edit.. option, a new window called Edit Reference Line, Band, or Box will opened to style the box plot. Second Approach: Go to Format Menu, and select the References Lines… This will open the Format Reference Lines tab as shown below. Let me change the Fill colour to the Red pallet. 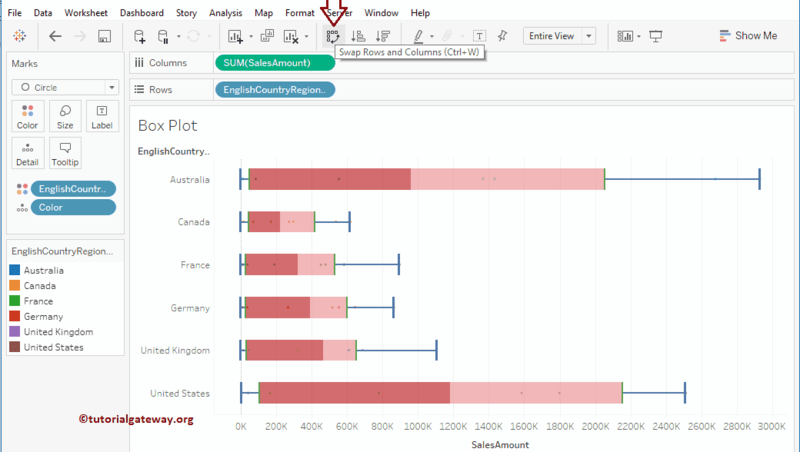 In this example, we will show you, How to change the dots size in a box plot. For this, drag and drop the Order Quantity from Measures Region to Size field in Marks Shelf as shown below. 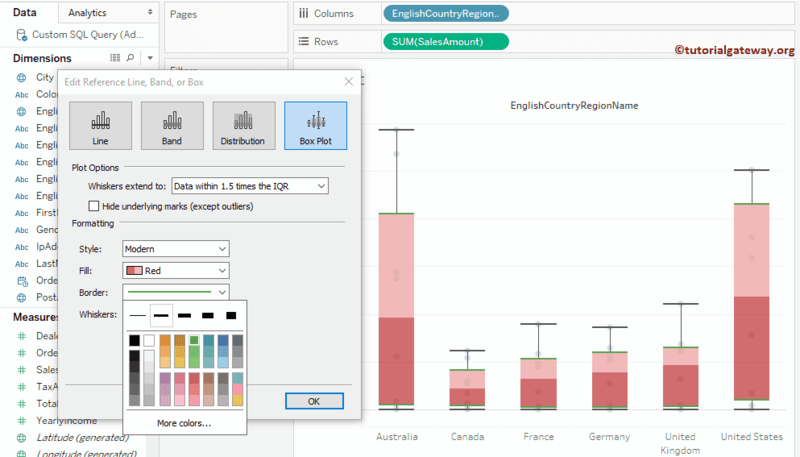 In this example, we will show you, How to create a box plot in Tableau for each colour within a region. 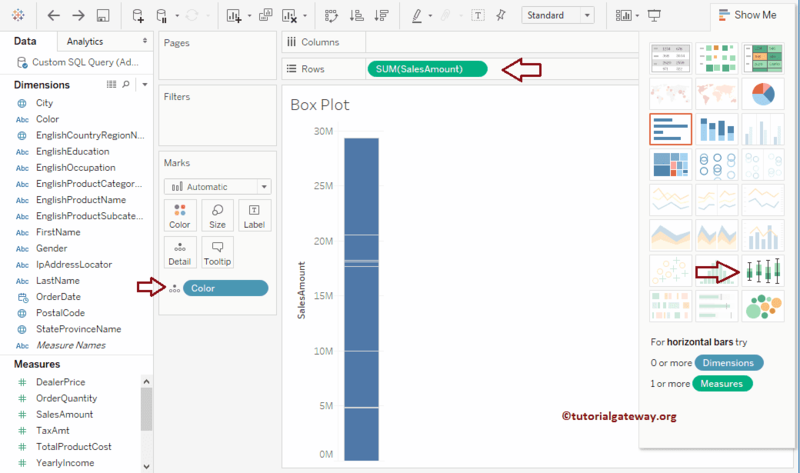 For this, drag and drop the Color from Dimensions Region to Columns Shelf. 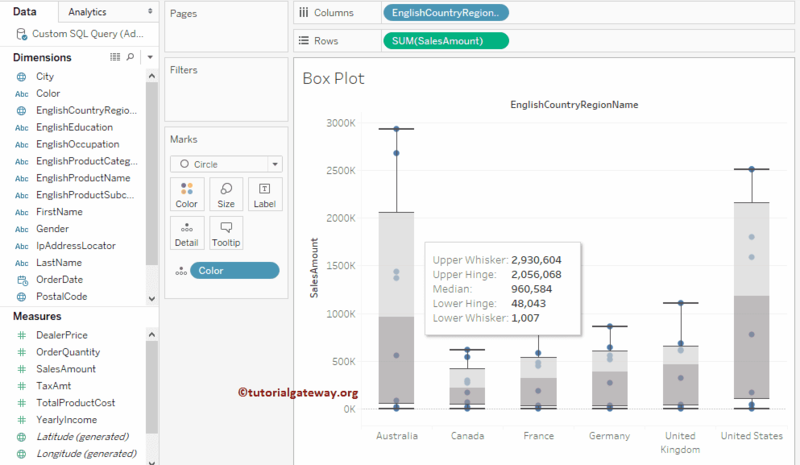 By default, box plot will display the horizontal lines (or dots) and they are the compressed box plot. 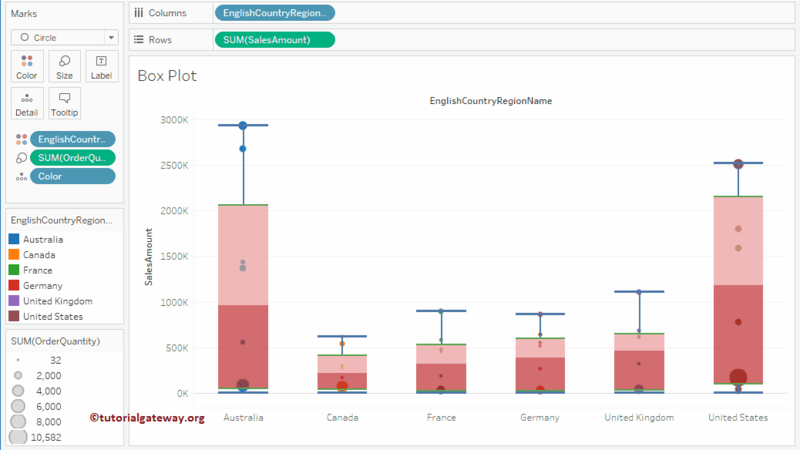 This is because it is difficult to draw the box plots for an aggregated data. 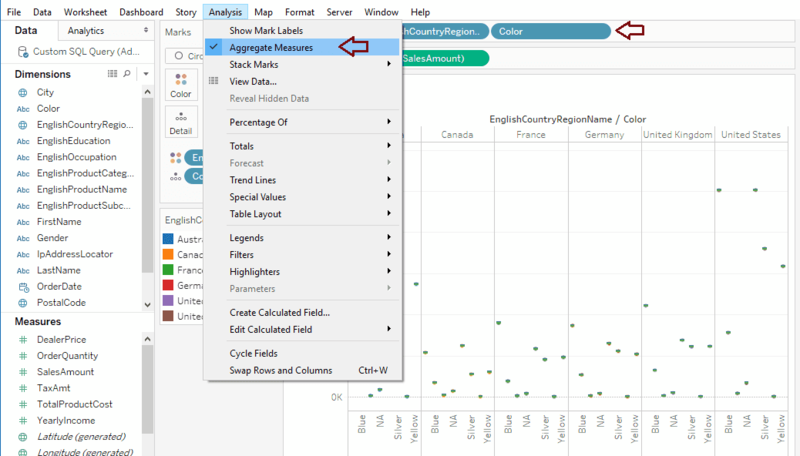 So, let’s remove the aggregated measure by unchecking the Aggregate Measures available in Analysis Menu as shown below. 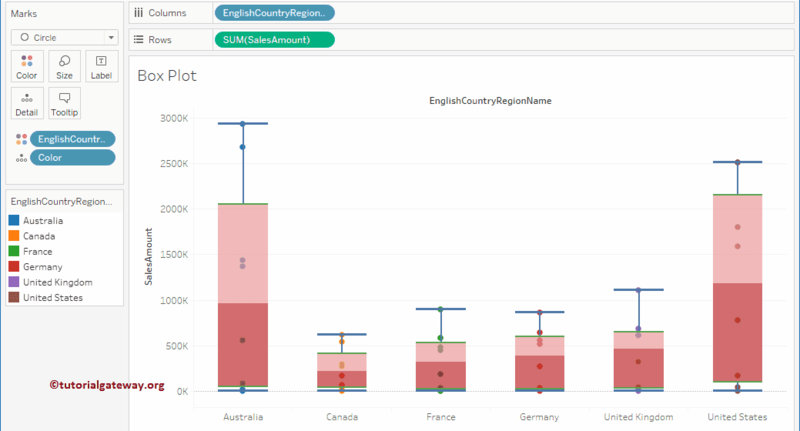 Now you can see the box plot for each color present in a region.